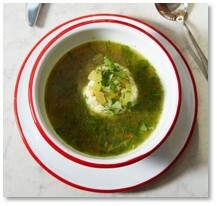 Smoked Matzoh Ball Soup from the Rooster Soup Co. In a longstanding tradition, the governors of states whose teams are competing in a major sports competition place friendly wagers. These usually involve delicacies grown or made by local companies. Sunday’s Superbowl between the New England Patriots and the Philadelphia Eagles continues the trend with Governors Charlie Baker and Tom Wolf putting their best treats on the table. Regardless of which team wins, neither official will chow down on the winnings. Both governors have agreed to donate the winnings to a food pantry of the winner’s choice. That means anteing up more than a dozen donuts and a few bowls of soup. Looking at the list, I’m tempted to think that Philadelphia will get the better deal should the Eagles win the Superbowl. (Las Vegas favors the Patriots 4.5) But I wondered which items on the two lists were superior. 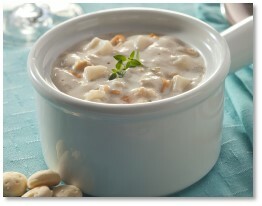 When it comes to soup, Legal’s New England clam chowdah beats ordinary soup, right? No brainer. I have eaten it many times and it never disappoints. Well, I checked out the website for the Rooster Soup Company , a luncheonette that gives 100% of its profits to support vulnerable Philadelphia residents through the Broad Street Ministry’s Hospitality Collaborative. It looks pretty darned good. The current soup menu includes Smoked Matzoh Ball, Roasted Cauliflower, Turkey Chili and Roasted Tomato. Yum. When it comes to protein though, I’ll take the Hollis Hills Farm chicken pot pie over scrapple any day. 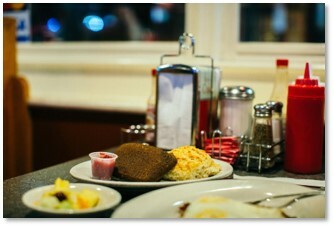 Scrapple, for those who are not familiar with this breakfast meat, is basically a pork paté thickened with corn meal or buckwheat. That sounds pretty good until you realize that the “scraps” of pork in the paté constitute the offal from slaughtering a pig: head (often the whole thing), heart, liver, and other trimmings. While I applaud making use of every part of the pig but the squeal, I do not personally enjoy eating the offal of any animal. I understand that locals grew up eating this dish and probably don’t think too much about what’s in it. My parents used to eat boudin noir, a black sausage made with pig’s blood. They loved it but we kids wouldn’t touch it. The Down Home Diner at the Reading Terminal Market gets high marks for their scrapple but I will pass, thank you. As to the competition between donuts, that’s hard to say because Governor Wolf has not specified what kind would make up the Philly contribution. 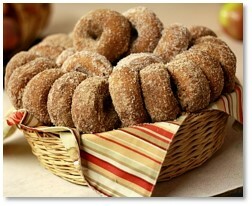 A well-made cider donut is a thing of beauty and a joy on the tongue, especially when coated with cinnamon sugar. The boiled cider in the batter gives them a wonderful apple flavor. Federal Donuts, with six locations in and around Philadelphia, serves a lot more than just breakfast pastries. Their hot, fresh donuts include Cookies and Cream, Cinnamon Brown Sugar, and Strawberry Lavender. I’m trying to imagine a construction worker stopping by for his strawberry lavender morning donut. It’s not working for me. Smolak Farms, on the other hand, has a farm-stand bakery that puts you just a few steps from the ingredients in their pies, donuts, and muffins. They always have apple cider donuts on hand. While I haven’t tasted these personally, I’m sure they measure up to the high standard set by other local farms and orchards. We get ours from Honey Pot Hill Orchard in Stow, MA. The rest of the items on the list don’t really match up so it’s impossible to tell which one is better. I’ve had Grillo’s Pickles, though, and I know how good they are. The real winners of this Superbowl bet will be the people in one city who get to taste some wonderful, home-made food that will brighten their day. I’m betting it will be in Philadelphia.